I hope you are feeling rested and beginning the year filled with hope and good intentions. When it comes to new year resolutions I believe it’s best not setting too many. In the Guardian, Oliver Burkeman suggested a few resolutions worth making. One of these was to select something to stop doing; to use the power of “no”. We live such busy lives with an infinite number of potential things to do but by spreading ourselves thinly, we can experience less depth, meaning and satisfaction. Rather it’s best to focus our energies on doing a few things well. For most of us, cooking is a daily ritual that can easily become a chore with our busy lives. We understand that life with a VegBox is not always easy. Riverford’s vegbox customer survey in 2014 showed that 22% found it really easy; 25% struggled to identify all the contents and 39% didn’t know how to cook some of them. We can only assume that our VegBox customers are in a similar boat. We hope that we help make things as easy as possible for our customers and we encourage them to pick up the phone if ever they need some cooking ideas or tips. While it can sometimes be tricky, the lifestyle a VegBox provides is highly nutritious and fun. 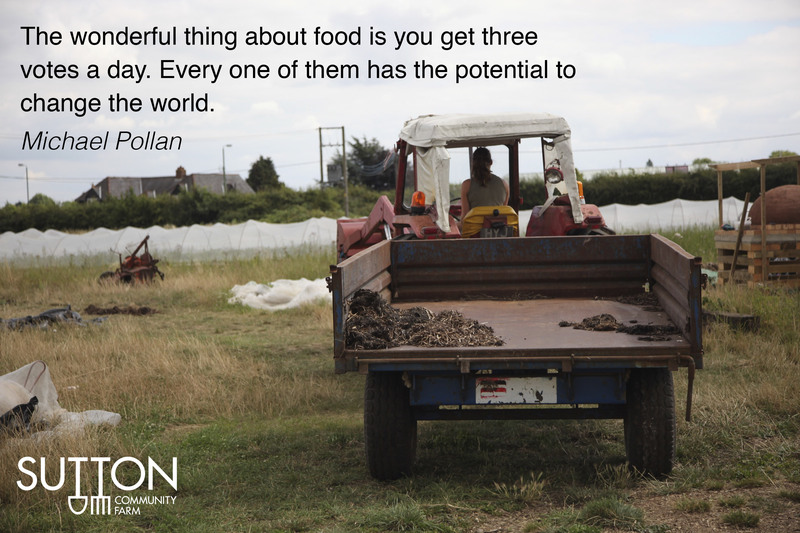 It’s honest, local food, grown in your community from farmers you know and can trust. Eating food is also a political act. Michael Pollan once said that the wonderful thing about food is that you get three votes a day. It’s an amazing power we have. Every day we can help support a more sustainable agriculture, a cleaner environment and less reliance on fossil fuels. Three votes per day may feel daunting. We all have our junk foods that we can’t resist, and that’s fine. Which is why Oliver Burkeman’s final suggestion for New Year’s resolution is good: to ease up and cut ourselves some slack. Life can be tough, we aren’t perfect and are often prone to making bad choices, especially when we’re stressed or busy. So as you ease your way into the new year with a VegBox, we hope you find joy with the produce, learn new skills, and eat some sensational meals.